Private Paddleboard Yoga Teacher Training is available. Please call us at 808.339.3689 for more information. Spend three fun filled days on the water learning how to teach group and private SUP and SUP Yoga classes. Within these three days you will have over 15 hours of water time honing your paddle skills, learning key techniques, turns and water safety, all while being educated on how to plan and teach SUP yoga sequences, meditations as well as sunrise and sunset paddles. We will go in depth on modifications for yoga poses on board for beginner to intermediate students all while learning how to teach one on one privates, couples and group classes. On your last day you will teach your first SUP Yoga class and leave the training ready and prepared! Ask us about local and bring a buddy discounts!!! Learn how to instruct a safe class for the beginner to advanced. Receive extensive water safety instruction as well as information on water laws and regulations. Training includes teach-backs so that by the end, students will feel confident teaching all classes. Learn how to create and market successful SUP Yoga classes in your community. 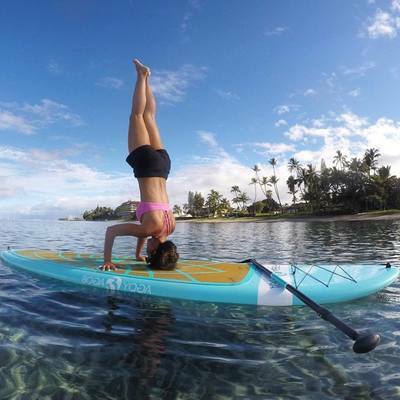 Maui SUP Yoga is an official BOGA YOGA floating studio located on the beautiful island of Maui, Hawaii. We are the exclusive provider of BOGA YOGA Paddleboards on Maui. You will be FLOWing with the best SUP YOGA equipment in the world. 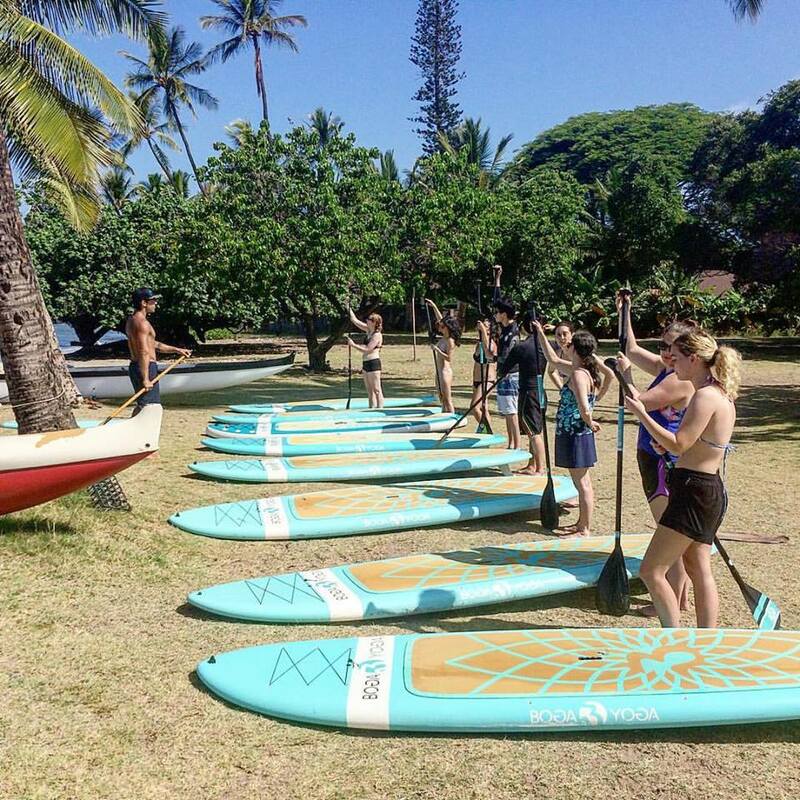 ​Sup Yoga Teacher training in paradise! 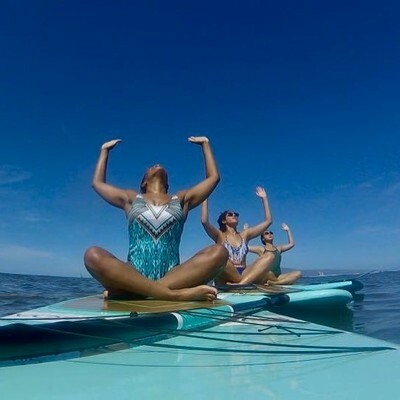 Our Sup Yoga instructors will guide you through the entire process to become a skilled, confident SUP YOGA Teacher utilizing the most important elements to take your students out on the water safely and to guide your practice on water. Let today be the day you love yourself enough to no longer just dream of a better life; let it be the day you act upon it. Private Paddleboard Yoga Teacher Training is available. Please call us at 401.225.9063 for more information. Please Contact Nichole for questions, details, and housing options @ 401.225.9063.